Take a tour through environments of Crysis 2® with Helder Pinto, Level Artist at Crytek. This article is the first part of interviews with people responsible for the look and feel of game environments. Helder: My name is Helder Pinto (also known as HP), I’m Portuguese, just turned 26 and I got a burning passion for Game Art and Games in general. I am currently working at Crytek in Frankfurt, Germany as a Level Artist. I’ve been working in the games industry for 4 years now and I have around 10 years of modding experience (wow, it’s been that long? Time flies when you’re having fun). H: Good question, I don’t know, I didn’t choose this passion, it choose me. It all happened very naturally. When I was a kid I loved to scribble around and play on my father’s consoles and computer, eventually I merged the two and started painting and recreating computer games levels and characters on a sketchbook I had. When I turned 16 I started to mess around with 3DsMax and level editors, that’s when I understood the joy to be had creating virtual environments, telling stories with them, bringing them to life and interact with the player, the possibilities were endless, a virtual white canvas for me to paint on it and detail it up, I have found my meaning in life, and since then I never let go of it. M: Wow, sounds serious. How exactly did you started with mapping? H: Like a lot of people, I started with modding and its communities of passionate and curious people. 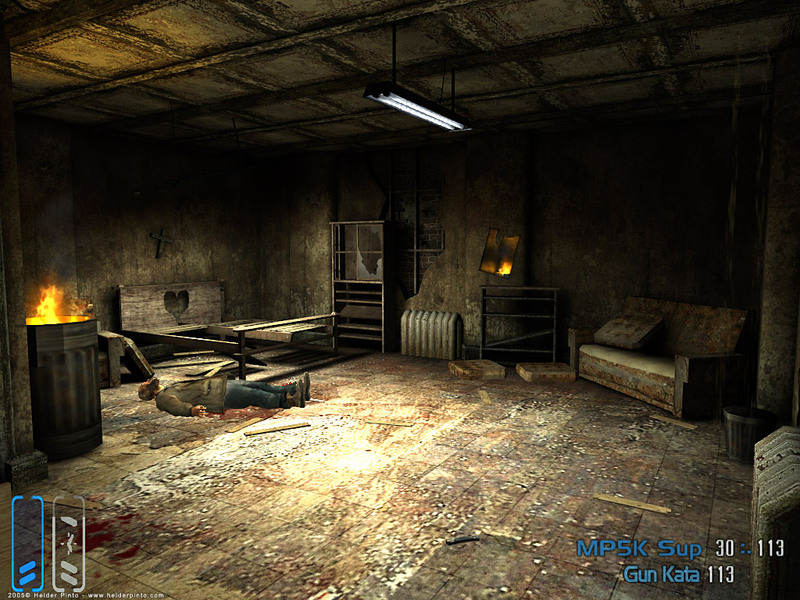 The first engine that I used was Max Payne’s, I loved that game so much that I started to frequent it’s communities and modding the game, from something small like changing the color of blood all the way up to create full blown mods and campaigns with levels. Eventually I had tried other engines like Quake, Half-Life, and Unreal but I never really finished anything important on them, but the experience I gained with trying other game engines was very valuable. I also started to branch out and slowly started to learn modeling and texturing, so I could do my own custom content for my levels as well. In the end of the day, communities were crucial when I started, and they still are as everyone’s there to help you with feedback, and it’s always good to be involved with passionate people. M: Were the first steps hard? Well, when you’re starting, you’ll make a lot of mistakes, but that’s a good thing because it’s the only way to learn; learning with your own mistakes and keep on improving. Things like putting too much detail into your environments while you’re still blocking them out and thinking about gameplay, not finishing your stuff, etc; It’s a learn as you go process, and the errors are all there waiting to be made, but don’t give up at first, be resilient and put your mind to it, because the good thing about mistakes is that you’re probably not going to make them again. Also, it might be a bit freighting when you open certain apps for the first time, but as you learn them, and you master them, you’ll be amazed when you realize you only use a portion of all those functions for your work, so again, looks are deceiving and things are easier than they look at first, don’t give up on something just because it “looks” hard, in most cases, they’re not; also what we obtain too easily we esteem too lightly, right? M: So what’s your responsibilities at Crytek? H: I am a Level Artist, and my specialty lay in having responsibility for the entire look and feel of levels. It’s also sort of an art hub position where everything comes together in the levels. Of course, this means I keep contact with a lot of people and departments, I work closely with Art Director, Lighting Artists, Texture Artists, and ultimately Level Designers. After Designers work on the initial block-mesh (which I try to make part of as much as possible), I am responsible for the levels aesthetics, dressing the scene, modeling assets and texturing, tweaking materials and shaders as needed to help bring the scene together, basically using the all the strengths of the engine to make good looking and fun levels. It’s a very enjoyable and challenging job as it requires both technical and art knowledge and practice since I deal with art, lighting, particles, gameplay, performance, etc. M: So what thoughts you’ve got after first days in Crytek’s Sandbox™ Level Editor? H: I already knew Sandbox editor pretty well before joining Crytek, since I had modding experience from Crysis days. How you work with the editor didn’t change much from CryEngine2® to CryEngine 3®, obviously the editor and engine is being worked on and optimized on a daily basis here at Crytek, and we’ve got a few nice additions to make performance profiling easier, art pipeline adjustments for ease of use, and a lot of improvements for our designers were needed, especially since Crysis 2 was different from anything else that Crytek ever did in the past, so some adjustments to the tools and pipeline were needed. On top of that CryEngine 3 Sandbox Level Editor got a slicker UI, easier to use and better on the eyes. I have used plenty of level editors in the past, and I can say with confidence that Sandbox 3 is the friendliest level editor I have used. M: You’re from Portugal and you’re working in Germany. Did you had problems with communications or colder weather? H: Changing country was definitely one of the most interesting choices I’ve ever made in my life. I got to know a different culture and with all the benefits that comes with it. Also, working at Crytek is like working in a cultural salad bowl, there’s people from everywhere in the globe, and everyone speaks English in the office, so that’s a plus. I’ve been here for 2 years, and I still didn’t learn a single word of German though, English is enough to get you around, at least here in Frankfurt. Crytek also pays for German classes if you’re interested, but I’m always busy with work and I never really felt the need. German weather is also interesting for someone that comes from Portugal. The first winter that I spent here, was the very first time I have seen snow in my life, so that was cool for a change, literally. M: Your job is more like passion or it’s only a way to do something and get paid for that? H: My job is my passion, my passion is my life. I am very fortunate to say I have a dream job. I have the job I always wanted to have, I work with people I always wanted to work and socialize with, and I live a happy professional and personal life. Of course, the work hours may be above the standards for some people, but I love what I do so much I don’t regret a single second of any extra hours I ever felt the need to do. M: How is your typical workflow? H: In my opinion, the hardest stage on my workflow is the very first one, the block out. Starting anything from scratch can be quite a challenge, that’s why I always try and spend as much time as possible on the block-out stage, and try and nail it so I can avoid problems later on, I learn this the hard way. This rule applies to both level environments and art assets, if you have a good block-mesh to work with, it’s enough to give you a good idea of scale to get you started and let you change anything easily. Say you’re starting on a level, you have a bunch of buildings who are only huge cubes, in your head you know it’s a placeholder for buildings, so this helps giving a sense of scale to your environments. So block out everything before actually getting started with anything else, it will save you hours if not days of further iteration later on. It’s very easy to get lost in details and start to detail up an area of the level and the other 95% is still empty, this is what you want to avoid; work on your level as a whole, tackling it with stages and avoiding getting stuck in ‘nit-picking’, save that for your last polishing pass of the level. Iteration is key to make a good looking game. Basically the rule of thumb is, you will never get it right the first time. Most if not all of our environments, went through various art passes and lighting passes. For various different reasons, either because it needed to reinforce gameplay a lot more, or it doesn’t meet the Art Directors vision, or simply because it can look much better if you work on it further. If you work out of a concept art picture or a an idea, sometimes it looks different when it transpires to the game, that’s when iteration comes into play and getting your team feedback is also crucial. When you’re working on something, and you see it bloom in front of your eyes since the start, some obvious details may go unnoticed, so listening to your colleagues feedback and iterate on your work will lead to a better final result. Another thing that I would like to bring to the table is whether artists can respect and understand gameplay and game design. In the end of the day, we are all making a game, not a still-painting. A good artist knows not only his craft, but he should know the basics of level design and what makes the game a fun experience, above all what can he do to make the game look good and provide a fun experience for the players. Art should never get in the way of gameplay, it should embrace it and make it better! I also recommend having a sketchbook and scribble ideas on it as you work. The most basics of sketches with a very raw visual representation of what you want to do can make your brain work in incredible ways and sparkle good ideas. M: What if you’re out of ideas? Where you’re looking for inspiration? H: Sometimes inspiration can be hard to find yes, but if you know where to look, and if you know yourself well enough, you’ll know what to do to make your creative self ticking. As for myself, when I’m starting to run out ideas, inspiration, or simply when procrastination gets the best of me, I always look back into what got me started. I look back into things that inspired me back then to make the person that I am now. I boot up DeusEx, Metal Gear Solid, Doom 3, or other game that I love and my brain lights up like a Christmas tree, and I refresh myself and I’m reminded of what’s it all about. In regards to work/creativity inspiration, there’s always a few websites, blogs or portfolios on the internet that I visit often. Websites that I know they will “wow” me and tell myself: “I want to be this good”. Like Concept Ships Blog, Pimping and Preview section in Polycount, and I have bookmarked a lot of 3D artists and Level Designer portfolios, and some art blogs as well. M: What kind of references did you used to create environments for Crysis 2? H: During pre-production, a few members of the team went to New York and took a lot of good and useful reference pictures, some of them were even used as photo sources for a few textures. Also, we have a very capable and talented concept art team, always backing up level designers and artists with inspiring and useful pictures. Of course I used a lot flickr and google images for quick scavenge of references, there are great pictures of the city on the internet. M: Everyone can be a level designer or environment artist? H: The artist is nothing without the gift; the gift is nothing without the work. With that being said, I don’t think that everyone is cut out to be a designer or an artist, but that’s not necessarily whether or not you have the innate talent or the so called, gift. I believe it’s all about passion, and how much time you’re willing to put into your work/career, everything can be shaped into place, everything can be achieved if you put your mind to it, it takes 10 000 hours of practice to be a world-beater. H: I usually tell people that if they want to be good at something, one of the best things they can do is surround themselves by people that are already good in that specific field. So, internet communities (forums) will get this covered for you while you don’t get a job, websites like Polycount for artists and MapCore for mappers/level designers. There’s also many resources that you may dig into, from Hourences’ books, and blogs like Level-Design.org. Without wanting to sound repetitive, spend your 10 000 hours on what you want to achieve, so practice and practice a lot, and you’ll get there for sure. The information is out there, all you need to do is reach out and get it, but I’m not telling you it will be a smooth ride, just be resilient. 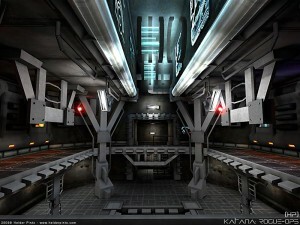 From the tech side, there’s all kinds of engines that you may choose nowadays, from CryEngine 3 SDK, to UDK, Source, etc. Just pick something that you feel familiar with and try and finish something, from start to final, and I can’t stress this enough. Avoid having unfinished stuff around, finish what you started and move on when you’re done. If you’re aiming for level designer position, It might also be useful for you to learn the basics of a modeling app, even if it’s Google Sketch-Up, just learn something that will help you express yourself easier and faster in the 3D space. H: I am a fan of single player experiences with good gameplay, and plot. 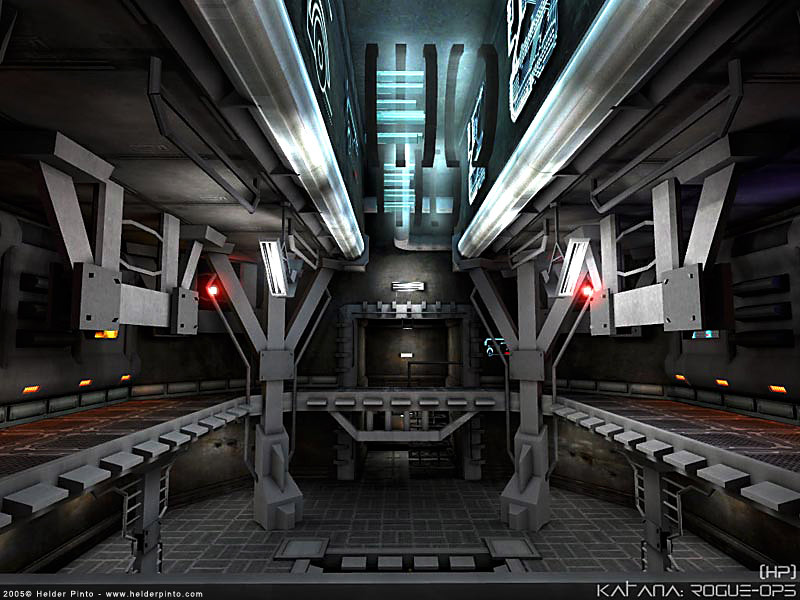 I really recommend all the aspiring level designers to check out design driven games like DeusEx, System Shock 2, Half-Life 2, No One Lives Forever, etc. You can also learn a lot from action adventure games like Uncharted 2, and Action RPG’s like Mass Effect. M: So what level artist do after job? H: Fortunately I have a girlfriend that makes sure I don’t nerd out as much in front of my computer most of my free time, so we do spend most of our time together. I also love to visit places I’ve never been to, my most recent hobby – photography. I have learnt a lot with photography actually, more so than I thought I would, you learn some color theory, framing, composition, etc. Obviously, I also play a lot of games and watch plenty of movies. M: You’ve updated your portfolio lately – can you give us some advices on creating portfolio? H: There’s a very old article called “Your portfolio repels jobs” at Game-Artist.net Forums, that I still recommend everyone reading before actually getting started building their portfolio. After reading it, think what’s your focus and which position are you aiming for, and remember people are lazy so try and show your work as least amount of clicks as possible, if possible try and show everything in the first page or divide your work in 2 or 3 categories max! If you don’t want to pay a web designer to do it for you, or if you don’t have the skills to do a proper page, you can use WordPress or CarbonMade, a really useful website that lets you create a online portfolio or gallery in minutes. 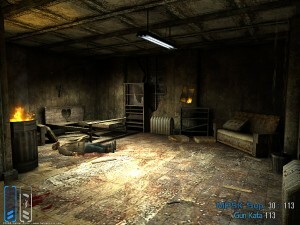 H: Check out my website with a few more samples of my work, and more screens from Crysis 2: www.helderpinto.com and LinkedIn account. M: Thanks Helder, good luck! H: Thank you, I want to thank Mateusz ‘seir’ Piaskiewicz for organizing this interview, Level-Design.org is a great website with some really good and useful info so It’s an honor to help it.